Parties, parades and celebrations are a fundamental part of the Belizean identity. And with food and music a core part of the culture, it’s little wonder that these form the heart of the nation’s biggest festivals. Here are a few Belizean festivals you’ll want to plan your trip around. The Placencia Sidewalk may be the narrowest street in the world, but what it lacks in size it makes up for in festivals. Every February this idyllic beachside town gets in touch with its artistic side with live music, art exhibitions, craft displays, poetry readings and more. “Run the gauntlet” of the sidewalk and enjoy 4,000 feet of local Belizean creativity – and of course food. The cashew nut alone is worthy of celebration, but did you know that the nut grows from a colorful fruit with a tart, mango-like taste? Crooked Tree is dotted all over with cashew trees, the fruits (and nuts) of which this festival celebrates in jelly, wine, cake, candy and ice-cream form. The folk music, dances and crafts of the local Kriol people are also on display. The setting is incredible, too. Nestled in the middle of a network of lagoons, Crooked Tree is Belize’s home-grown version of Venice, and is well worth a visit. Once you’ve had your fill of cashews, head along to the Toledo Chocolate Festival in Punta Gorda. This annual event highlights that globally beloved Belizean speciality: chocolate. Chocolate bars, truffles, hot cocoa and even chocolate-infused beer are available for tasting, and visitors can tour chocolate farms, learn about the chocolate-making process and stock up on chocolate-themed souvenirs. Kid-friendly activities and a grand finale of fireworks and live music round out the event. More than 20 varieties of this famous tropical fruit are grown around Hopkins, and they have pride of place at the annual Mangofest. Every June, this small Garifuna fishing village swells with visitors enjoying live music, games, raffles and auctions and mango-flavored dishes. Cool down with a mango smoothie, fill up on some mango chicken, then work off your hearty lunch with some dancing or some sunbathing on the beach. The food keeps on coming with Lobsterfest. A series of four events in San Pedro, Caye Caulker, Placencia and Belize City, Lobsterfest celebrates that most prized item on any seafood menu. Beginning in June to coincide with the beginning of lobster season, it features live music, beauty pageants and delectable tasting plates featuring the titular guest of honor. Enjoy some fresh lobster, participate in a tug-of-war competition and dance with the locals on Belize’s picture-perfect beaches. Held on the stunning Ambergris Caye, the Costa Maya Festival is Belize’s largest Mayan gathering. Mayans from Belize, Guatemala, Mexico, Honduras, El Salvador and Costa Rica come together to perform traditional ceremonies, dance, sing and of course eat. On “Noche International” the main stage is taken over by a regional Latino music or dance act, but perhaps the biggest event on the calendar is the beauty pageant, where entrants compete for the title of La Reina de la Costa Maya. There’s always something to celebrate in Belize. 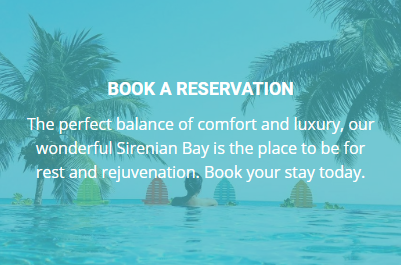 Join us at Sirenian Bay and put yourself close to the festival action! Christmas in July – Planning your Holiday Vacation to Belize Considering a Private Island Stay in Belize?